Yale Law School alumni are blasting their alma mater for the sin of putting out a press release taking note that one of their own, Brett Kavanaugh '90, has been nominated for a seat on the Supreme Court. You'd think a press release from the law school in such a circumstance would be routine. But not in today's atmosphere. The Yale Law School alums demand that Dean Heather K. Gerken “use your authority and platform to expose the stakes of this moment and the threat that Judge Kavanaugh poses.” The letter had garnered 297 signatures from Yale Law students and alums by Wednesday. Still, it's Yale Law alums--so the letter is really smart and erudite, right? Nope, it reads like something from The Resistance: hysterical scare-mongering. "People will die if he is confirmed" is the main theme of the open letter. Judge Kavanaugh’s nomination presents an emergency — for democratic life, for our safety and freedom, for the future of our country. His nomination is not an interesting intellectual exercise to be debated amongst classmates and scholars in seminar. Support for Judge Kavanaugh is not apolitical. It is a political choice about the meaning of the constitution [sic]and our vision of democracy, a choice with real consequences for real people. Without a doubt, Judge Kavanaugh is a threat to the most vulnerable. He is a threat to many of us, despite the privilege bestowed by our education, simply because of who we are. The heart of the Yale alum screed is Roe v. Wade, the 1973 Supreme Court ruling that made abortion legal. Disappointingly, the Yale alums are so upset that they fail to remember that, if Roe were to be overturned (by no means assured), the issue of abortion would simply be returned to state legislatures. Just a few months ago, Judge Kavanaugh ruled to deny a detained immigrant minor her constitutional right to abortion. Decades-old Supreme Court precedent makes clear that the government may not place an undue burden on a pregnant person’s access to abortion. But Judge Kavanaugh clearly did not feel constrained by precedent: what could be a greater obstacle than a cage? Fine. The Yale law students disagree with Kavanaugh's ruling in this case. But their "reasoning" sounds more like a communique from The Resistance than objections raised by graduates of one of the nation's top law schools. For starters, the young woman, who was in the U.S. illegally, was in a shelter, not a cage, though cage has a certain resonance these days. Here is a non-hysterical explanation of Kavananaugh's ruling in the case. The letter, which is twice as long as the press release, is a masterpiece of pure scold. 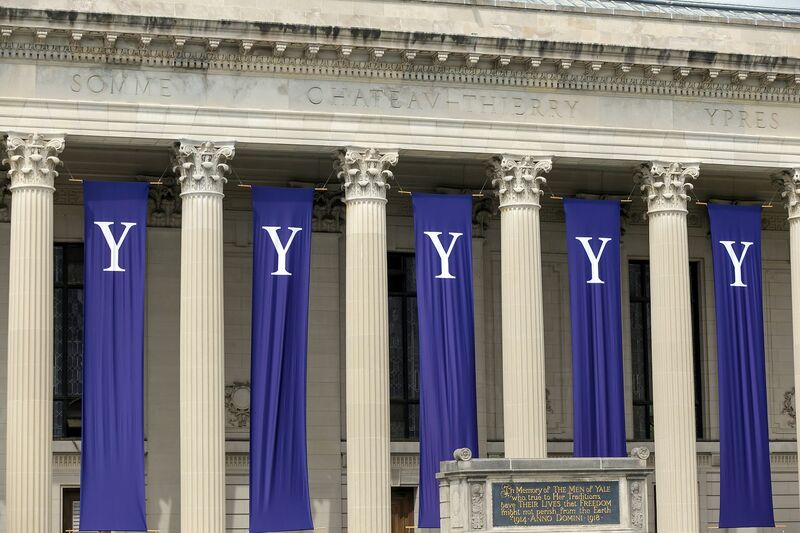 Andy points out that a Yale Law degree costs about $255,000. And this letter represents the caliber of thinking you get for that kind of money?